Knot Just Macrame by Sherri Stokey: A Micro Macrame Rainbow! Howdy and Happy Summer! We hit 107°F here last week (that's 41.7°C for the rest of the world) and I loved it. It's summer, baby! It's supposed to be hot! I've spent a ridiculous amount of time in the pool, but I've also managed to squeeze in a little macrame. I also finally managed to get my blog domain straightened out again, in case any of you noticed it missing lately. It wasn't really missing, but it was darned hard to get to without knowing all kinds of complicated stuff I don't even want to know about. My hat's off to GoDaddy's customer support team and I'm back in business! Notice that extra logo on my photos? 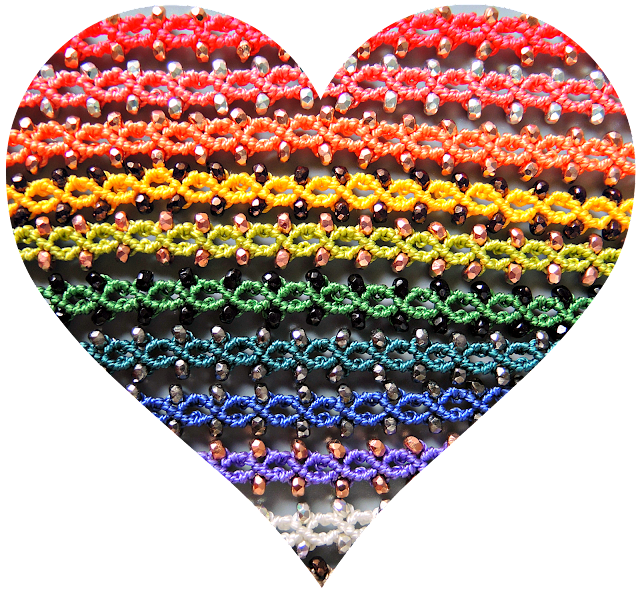 I'm absolutely thrilled to have been asked to be on the BeadSmith Inspiration Squad! I'm both humbled and honored to be included in this amazingly talented group of people - they are seriously some of the most creative people I've seen in jewelry design. And the best part? Guess what they want me to do? Guess. Just guess. Didja guess? Okay, I'll tell you: they want me to play with beads and cord and stuff. O.M.G. Have I died and gone to heaven? They want me to create with their beautiful products. I can DO that! 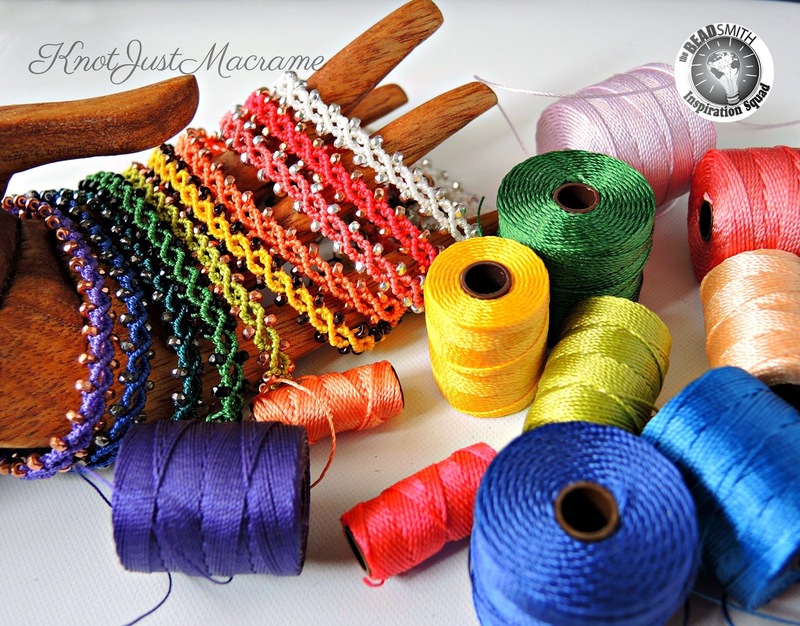 The nylon bead cord I use for knotting micro macrame bracelets comes in some gorgeous colors. 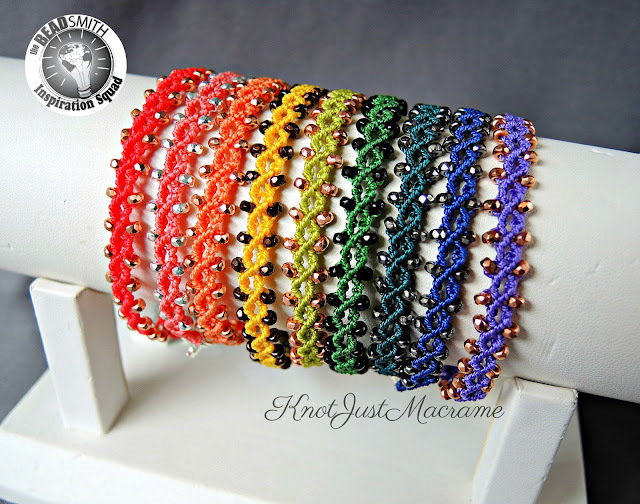 Since I've been on a quest to fill my world with color lately, I guess it was reasonable to want to make a bracelet in each of the colors? (Note: "reasonable" in my world may differ from "reasonable" in the minds of others.) I did run out of steam after about a dozen, but it's a pretty good start, don't you think? I also used some of the newest beads from the BeadSmith - micro spacers. 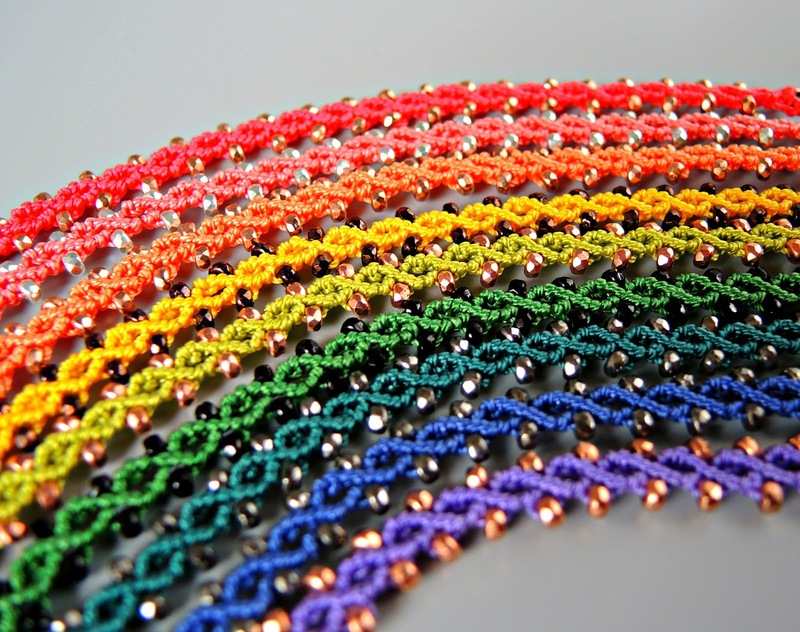 They're tiny (2x3mm) and are faceted so they catch the light nicely and add a little extra something to my macrame bracelets. I'm already a fan! Let's see... did I cover everything? BeadSmith Inspiration Squad, rainbow of micro macrame bracelets, summer? Check, check and check. Guess I can head back out to the pool! They have pools in Nebraska? These bracelets are amazing, I love them. Thanks, Donna! It feels good to make something again!